Farmers in the districts of Ngoma, Bugesera, Rulindo, Muhanga, Huye, Ngororero and Rubavu have more reasons to smile for new feeder roads that are linking them to markets. On Friday morning, the European Union and Ministry of Agriculture will launch feeder roads in Rulindo district to mark the completion of the EU support to the Rural Feeder Roads Programme in Rwanda. The funding of EU, in form of Budget Support, over the last 5 years with a last payment to the Government of Rwanda of €10 million made in December 2016, was the last payment to the total of €40 million provided in the framework of a Sector Policy Support Programme. 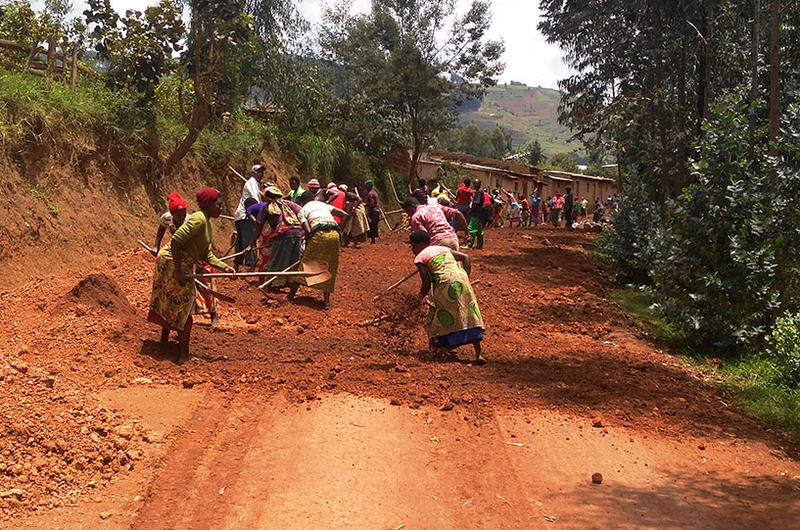 The support targeted the improvement of the rural road network in Rwanda in 7 Districts: Ngoma, Bugesera, Rulindo, Muhanga, Huye, Ngororero and Rubavu. A total of 700 km of roads will have been rehabilitated by the end of June 2017 and 500km will be under regular maintenance. Thousands of rural residents have benefitted from these roads as they now have access to markets and economic and social services.